To ensure your doctor has all the necessary information to establish a diagnosis and give you the best recommendation, it is important that you prepare in advance for the doctor visit by completing some questionnaires. 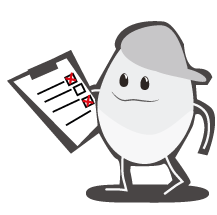 A checklist with the required information is available here. On the day of the visit, the doctor might ask for some additional tests and examinations that will complement the questionnaires. 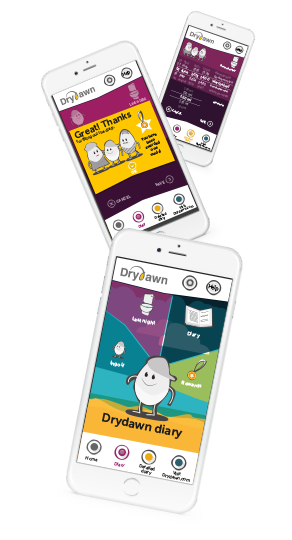 Why not encourage your child to download the Drydawn app before the doctor's visit? 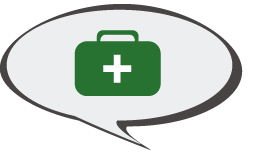 The app helps record some useful information for your doctor and is a fun game for them to play too. A checklist detailing the required information is available here. On the day of the visit, the doctor might ask for some additional tests and examinations that will complement the questionnaires. I’m 7 years old and I love fishing – I can already tie my own flies. However, I have one big problem: I wet the bed. Sometimes I can go five or six nights without wetting the bed but then I start waking up in a wet bed again. I don’t like talking about my bedwetting and I usually just say “yes” or “no” when the doctor asks me how things have gone. . The worst thing of all is that I can’t sleep over with my friends. Sometimes I think I’m the only one in the class who wets the bed. School’s no fun for me sometimes. I don’t want anyone to know that I wet the bed. I know my mum thinks it’s annoying to have to get up at night to change the bedclothes. I’ve tried to sleep in nappies, but they are hot and uncomfortable to sleep in. I have tried all kinds of treatments. My doctor gave us an alarm to try. It went off when I wet the bed but didn’t wake me up - it woke my mum and sister though. Then I was given medicine that the doctor said is used to help with depression and which has also been tested on bedwetting. That didn’t help either. Just like before, my bed was sometimes wet, sometimes dry. The only difference was that I was really tired and could hardly wake up in the morning. I tried to fill in a ‘pee chart’ – but there’s no point when you can’t put in any stars to mark the dry nights. Cross after cross after cross for a wet bed is no fun at all. I tried having less to drink in the evening and my mum has even tried waking me up in the middle of the night so I could get up and pee. But nothing helped. I was given a medicine that reduces urine production to try… and my bed was dry in the morning. Now both me and my mum want me to continue using this medicine. My name is Kasper and I am 7 years old. I live with my parents and two sisters. I have lots of friends at school and I am a boy scout together with my two best friends. I go to boy scouts once a week and sometimes we go on camps during the weekend and sleep in tents. The only problem is that I wet the bed every night and have done so for as long as I can remember. My sisters don’t have this problem although my father says he had the same problem as a boy. My parents have tried lots of things – they asked me not to have any drinks after dinner time and they used to take me to the bathroom at midnight – but nothing seemed to work. I used to really love to go on boy scout camp but one of my friends told everybody that I sleep with a diaper so I really don’t feel like going anymore. It’s difficult to tell my parents why I don’t want to go. Four weeks ago we went to see the doctor about my bedwetting. The doctor gave me an examination and said I was completely healthy. He asked me to keep a diary during two weekends of everything I drank and every time I went to the toilet. After he looked at the diary, he gave us a bedwetting alarm that makes a sound when I pee during sleep. The alarm woke up my parents as well so that they got up and helped me finish peeing in the toilet. After two weeks I started to wake up during the night before I started peeing and quickly went to the toilet. 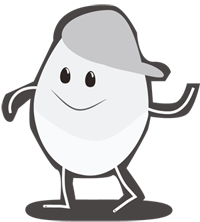 After another three weeks I started to sleep through the night without wetting the bed and without waking up. I am very happy to get rid of this annoying problem and I have started going to boy scout camp again.